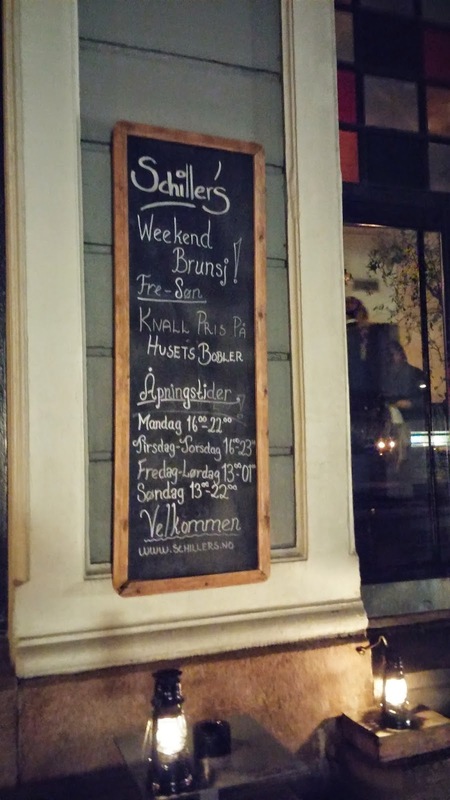 You can find a Schiller's tapas restaurant at two places in Oslo: Bygdøy Alle and Folketeateret. 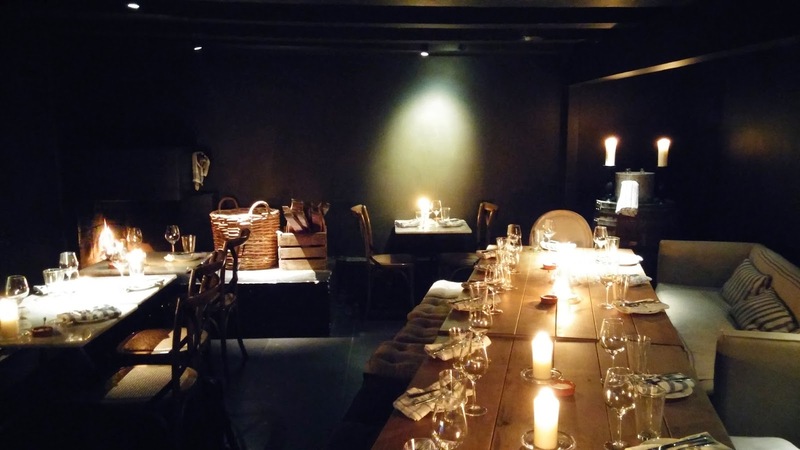 We tried the one in Bygdoy Alle on Friday and here is a short summary of our diner experience. We had not booked which is probably a mistake as the restaurant was almost full. After some thinking, they managed to find us a table in the room below but booking a table is recommended. The inside design is elegant, including that room. In the corner, there was even a real fire place. One regret maybe: the lights may be too dim and towards the end of the meal we felt it was too dark. It was our first time in a Schiller's restaurant so we simply ordered a predefined combination of tapas. There were two options: Tapas Classico and Tapas Variada. 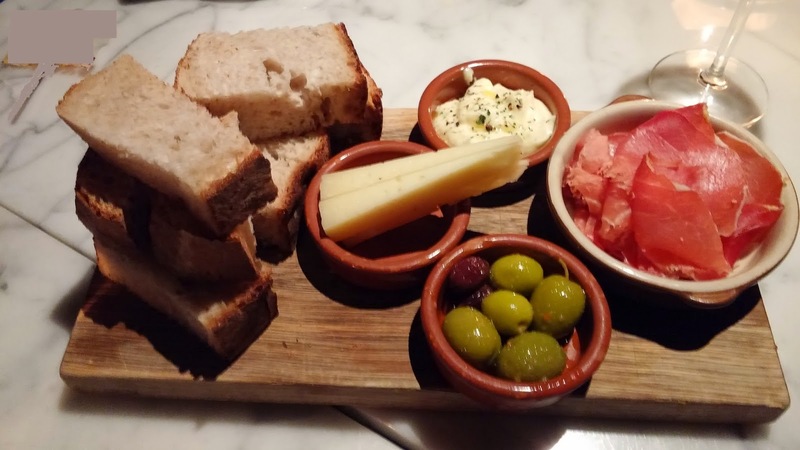 We chose Tapas Classico. The tapas came in 2 servings. First, we had bread, aioli, olives, cheese and ham. Everything tasted good and it was a lovely way to start the dinner. Then, the second serving came. 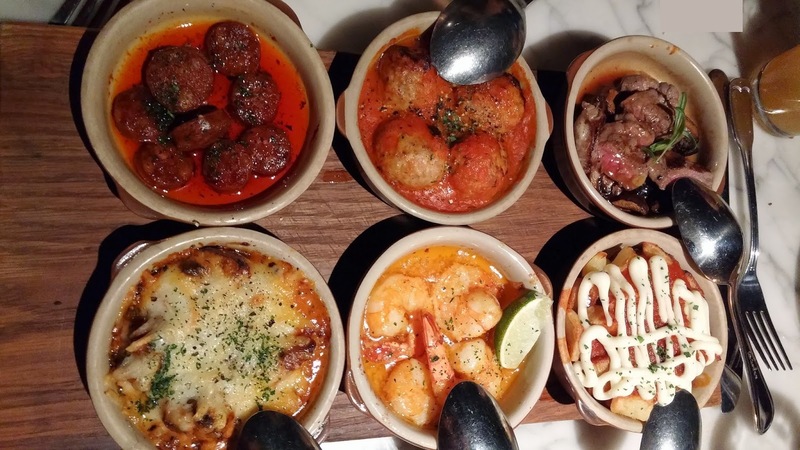 From top to bottom, left to right, there was: chorizo (warm), meatballs albondigas, entrecote with thyme, gratinated mushrooms, tiger shrimps and potatoes. My wife and I both liked the mushrooms tapas very much. It was the type of Paris mushrooms. I am generally not a big fan of these mushrooms but here it was a perfect combination with the cheese and the sauce. The tapas based on potatoes was also quite nice. Not sure what they used to make it but I liked it. The chorizo was also quite good. My wife find its taste a bit too strong but I suppose this is what one can expect from chorizo. I didn't find the remaining 3 other taps particularly good. Not bad but not exceptional either. 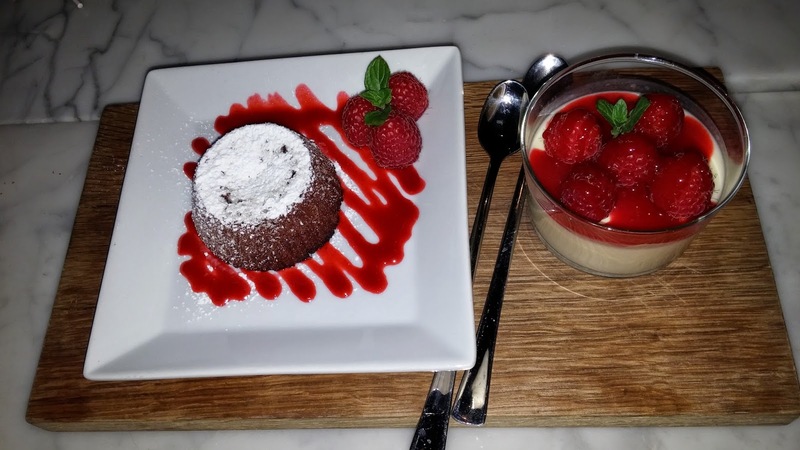 To conclude this meal, we ordered a chocolate cake for my wife ("fondant de chocolate") and a lemon dessert for me which had strawberry on it. Both desserts tasted good: the chocolate dessert was not too sweet and the lemon one was well-balanced as well (not too sweet, not too acid). The service was good but there were some small hiccups. For example, the food was quite quick to come - which is a good thing - but the drinks did not follow. I got my glass of wine when we were pretty much done with the starters. Also it took quite some time to get the desserts and after that to get to pay. The bill came quickly but without the credit card machine. No big deal and surely something to expect with a fully booked restaurant.